At TSP Consulting, our mission is to help businesses in mortgage banking and finance realize their goals by bridging the gaps between people, process and technology. Our services include: LOS assessment, system administration and configuration, custom App development, systems integration, business intelligence, web design and process re-engineering with a special emphasis on enterprise class .NET solutions. 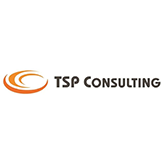 For more information about TSP Consulting, visit our web site at www.tsp-consulting.com .